Obituary for Jonathan Ratcliffe Sweet | Devlin-Rosmos-Kepp F.H. & C. S.
Jonathan R. Sweet, 50, loving husband of Susan (Pell) Sweet, of Phoenixville, PA, died suddenly on Monday, January 14, 2019 at Einstein Montgomery Medical Center, East Norriton. Born on August 7, 1968 in Philadelphia, PA, he was the son of the late Richard and Shirley (Ratcliffe) Sweet. He was a graduate of Archbishop Carroll High School and Walnut Hill Culinary School. 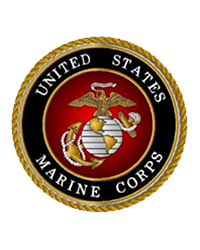 He proudly served in the United States Marine Corps. He was employed by Costco in King of Prussia for over 18 years having worked in many departments and was a hearing aid fitter. He loved to cook, travel, enjoy fine dining with his wife, and was a very charitable man. He was a member of St. Ann Catholic Church, Phoenixville. Christine and Lee Sweet, Melissa Ciasullo, Thomas, Joseph, Elena, and Francesca Pell. Relatives and friends are invited to attend his Funeral Mass at St. Ann Chapel, 604 South Main Street, Phoenixville, PA, on Thursday, January 24, 2019 at 12:00 pm with Rev. John Newns officiating. Burial will be held on Friday, January 25, 2019 at 1:00pm at Washington Crossing National Cemetery, 830 Highland Road, Newtown, PA. Procession will meet at the Administration building at 12:45pm. A viewing will be held Thursday morning from 10:00am to 11:45am in the Chapel. In lieu of flowers, donations may be sent to Susan Sweet c/o Devlin Rosmos Kepp & Gatcha Funeral Home, 517 South Main Street, Phoenixville, PA 19460 or to Wounded Warrior Project, at www.woundedwarriorproject.org.